Crispy, saucy and covered in a glorious blanket of melted cheese, chicken parmesan is utterly satisfying. After mastering the classic version, try your hand at these seven equally delicious variations. 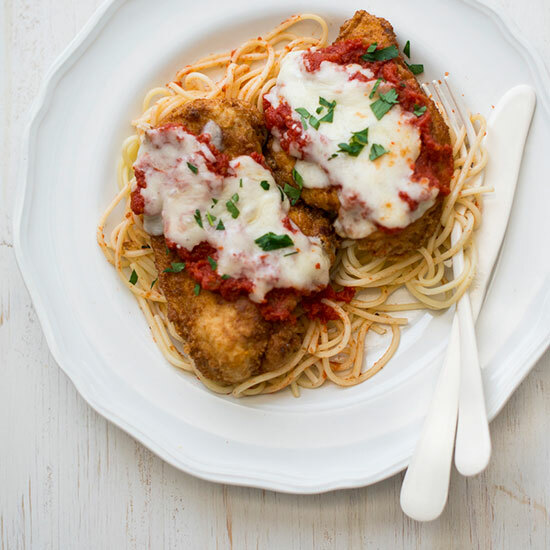 Spelt flour is a great way to transform chicken parm into a gluten-free meal. Not just for making bread, flavorful rye flour stars in this recipe from Todd Porter and Diane Cu of White on Rice Couple. Rice flour creates a light and crispy gluten-free crust. Crumbled graham crackers add a sweet crispiness. Pizza and chicken parmesan come together in one delicious dish. Panko adds a delicious crunch. Healthy whole wheat flour gives a terrific depth of flavor to the crust.